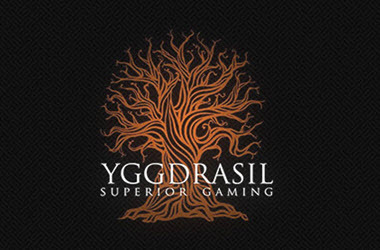 Yggdrasil Gaming confirmed that its platform and content have been certified to launch in Spain, it offers the award-winning software supplier the opportunity to extend its options into regulated markets. Once the great news arrived, Yggdrasil Gaming reached an agreement with GVC’s bwin brand and its launch in Spain is scheduled for the 2018 summer. Asensi Technologies testing lab is leading the process and has already certified Yggdrasil’s platform as well as the games part of the first batch, which includes Jungle Books and Vikings Go Berzerk. Spain is one of the fastest growing and most exciting jurisdictions in Europe. The market offers great potential, Yggdrasil Gaming looks forward to being part of this growing process by providing world-class content, Andres Pegler CCO of Yggdrasil said in a press release. CEO of Asensi Technologies, Aurora Merino feels that it is an honour to assist Yggdrasil to enter the Spanish market, while it is an absolute pleasure to work closely with a team that understands the framework of a regulated market. Spain’s gambling market enjoys impressive year-on-year growth, and its revenue enjoyed a 30% increase in 2017 when it reached a high of €558 million over a period of twelve months. In 2018 the Spanish market reached a growth of 51% for the first quarter and a year-on-year growth of 51% worth €56.5 million of which half was contributed to by online slots. Yggdrasil Gaming’s latest slot releases enjoy favour from a wide online audience, which includes Tut’s Twister launched on the 21st of June 2018. The exciting game is based on the disturbed King Tut awaken from the peace of his tomb, his anger leads to a twister causing havoc across the reels. Once two wilds appear, King Tut’s anger changes into a wild sandstorm that creates tall wild columns, a wild vortex consume the wilds and both multipliers and respins are awarded as the winnings storm out of control.King Tut video slot is available across all platforms including iOS, Android and desktop and features a high RTP of 97.1% with a maximum win worth 125,000 coins. It is available at any casino offering Yggdrasil Gaming slot content.